Follow RT for the latest news and updates on relations between the US and North Korea. 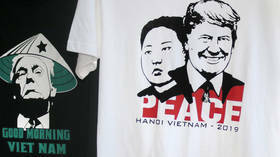 There has been a history of hostile North Korea-US relations starting from the Korean War of 1950-1953. Find the news and articles on the history of the Korean peninsula, including this war. In the context of today's relations between North Korea and the US, one often refers to the conflict caused by six nuclear-missile tests by the North Korean government of Kim Jong-un. Read the news and articles on the alleged tests of nuclear weapons by North Korea and escalation of tensions between the US and North Korea. However, tensions started to diminish after North Korean leader Kim Jong-un decided to send athletes to the 2018 Olympics in South Korea. 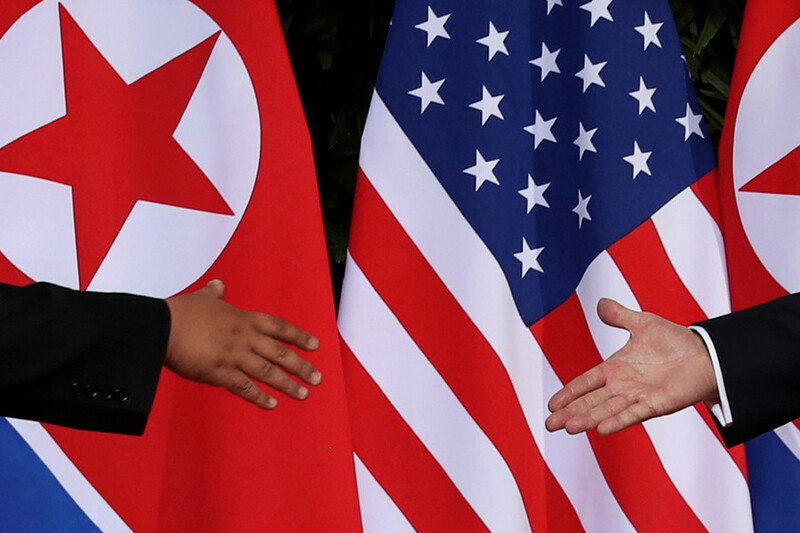 However, Kim Jong-un and US President Donald Trump had difficulty in finding a compromise, as the US held joint military exercises with South Korea. Get the news on the 2018 Olympics and discontent between North Korea and the US during this period of time. However, on June 12, 2018 Kim and Trump finally met in a first summit meeting, which took place in Singapore. At the meeting, Trump and Kim decided to open a new chapter in the relations between their states. North Korean media stated that there was a prospect for the establishment of "a new relationship" with the US. Get the news and stories on Trump-Kim summit, and don't miss the news and updates on the further development of relations between Donald Trump and Kin Jong-un. North Korea signaled that it would like to see US Secretary of State Mike Pompeo replaced by someone more careful and "mature” in talks with Pyongyang. If he engages in nuclear talks again, the “table will be lousy,” it warned. Kim Jong-un has supervised the test of a new “tactical guided weapon” just months after the summit in Vietnam failed to achieve any results as the US continues to demand unconditional denuclearization before any sanctions relief. The failed face-to-face talks with President Donald Trump raise doubt whether the US is really committed to improving relations with North Korea, its leader Kim Jong-un said, while promising to beef up the nation’s defense.